Clack, clack, clack, clack, clack, clack — clomp, clomp, clomp, clomp, clomp, clomp! That should sound familiar if you have wood stairs and a couple of children. It is the sound of a younger child racing down the stairs, hotly pursued by an older sibling. That’s just to the middle landing. Then you hear bump, bump, aaaugh, bump, bump, kerthud — as they slip and take a tumble down that last set of stairs. Bare wood stairs are beautiful, but they are very noisy. And if they are the highly polished type of wood, it is very easy to slip on them. I won’t describe to you the sound I made when I fell on my own bare wood stairs, because amid the slipping, bumping and crashing there was some colorful language. 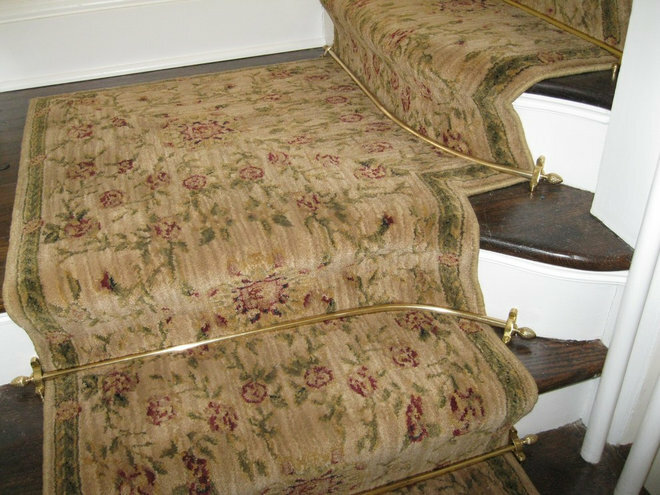 Stair runners are a great solution to provide peace and quiet and added safety to your stairs. They can be understated or a real design element in their own right. Many of my clients have questions about stair runners, such as: how wide should they be, what to do at the landing, and where should the runner end? 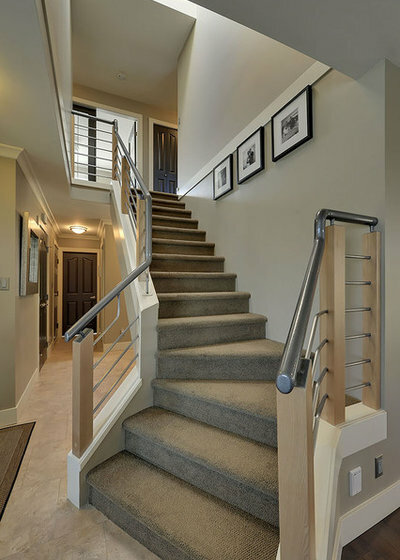 Take a look at these great examples of stair runners for all types of situations. 1. Where should the stair runner end? You have a few choices. In this photo, the stair runner ends just under the lip of the bottom tread. Look closely and you’ll notice that they ended it there because that stair has an overhang with lighting under it. At the top, they ended the runner at the back of the top tread. You’ll see more options in later photos. 2. 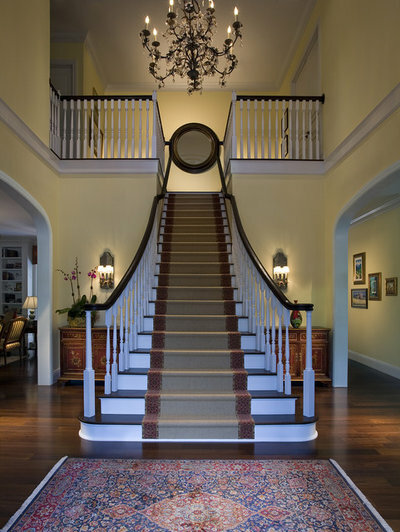 How wide should the stair runner be? As a general rule of thumb, 4″ of bare wood on either side of the stair runner is usually aesthetically pleasing and still allows the runner to be wide enough to give you a comfortable path for walking. 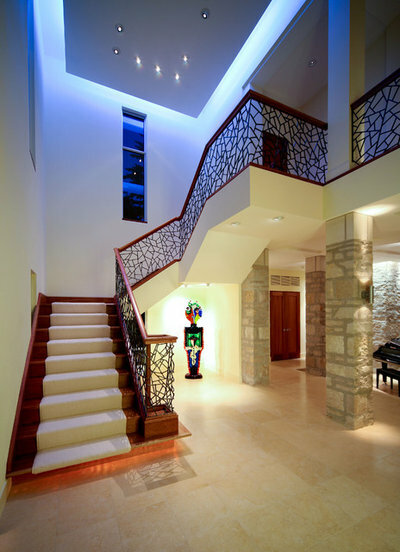 But you can vary this depending on the look you want for your stairs. The stair runner here ends at the bottom of the last riser. 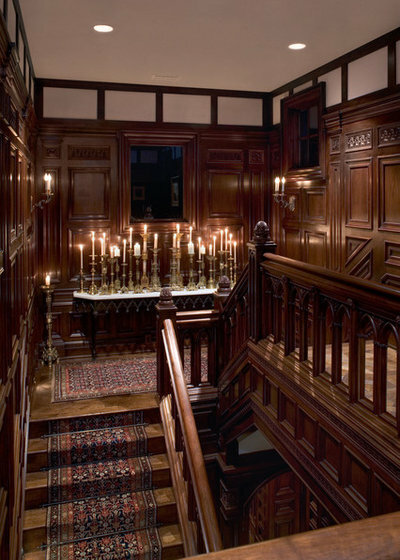 This is a wider staircase than in the first photo, so they have left more of the wood showing. It looks like there is as much as 10 inches or so on either side. That works because there is still a nice wide path of carpet. 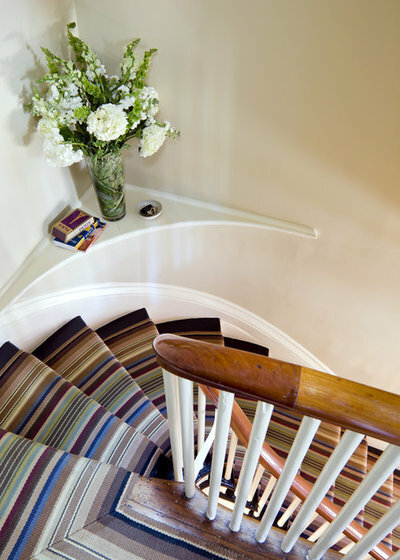 When deciding how wide to make the stair runner, it’s really about taking into consideration proportion and functional width. 3. 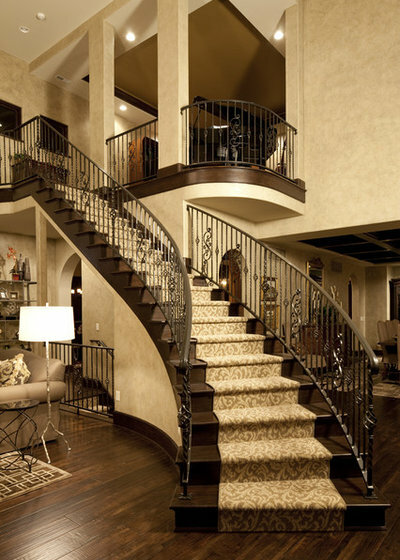 What if I have an open staircase? When you have treads but no risers, then you can wrap each stair with carpeting. 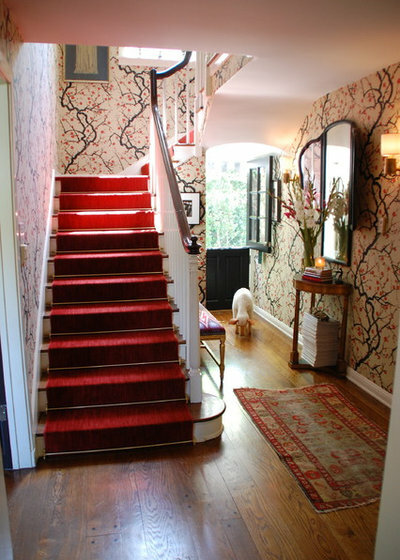 Note that the carpeting has been continued out on to the bottom landing instead of ending with the stairs. It’s another nice option for where to end the runner. 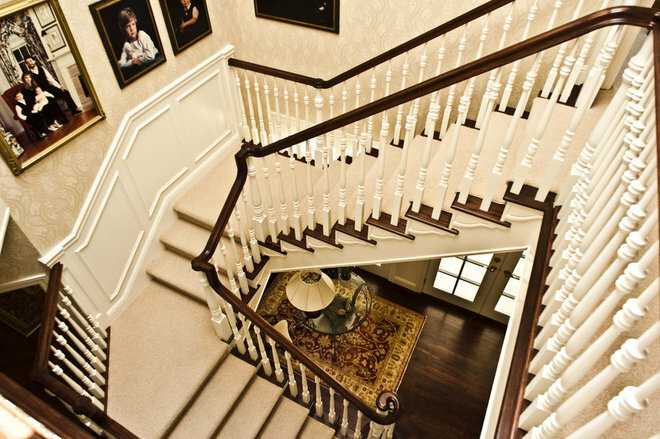 The angle of this photo allows you to see that the wrapped stair treads look good even from below. 4. 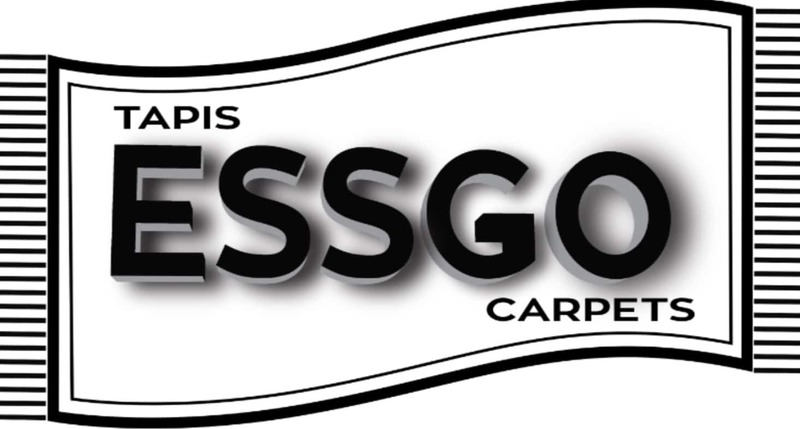 Should my stair runner be the same as my area rugs? 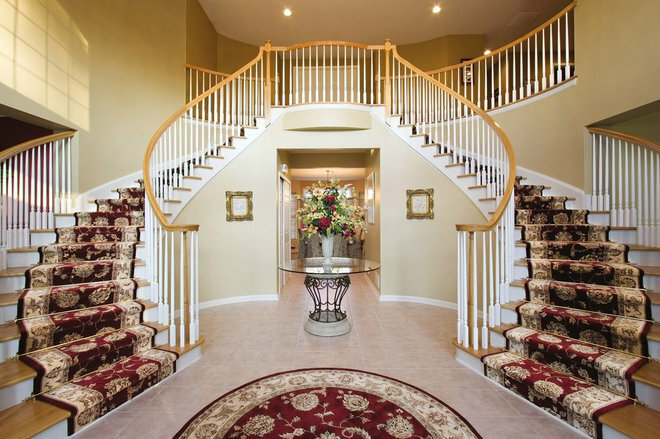 In this grand entrance with sweeping twin staircases, the stair runners match the area rug. 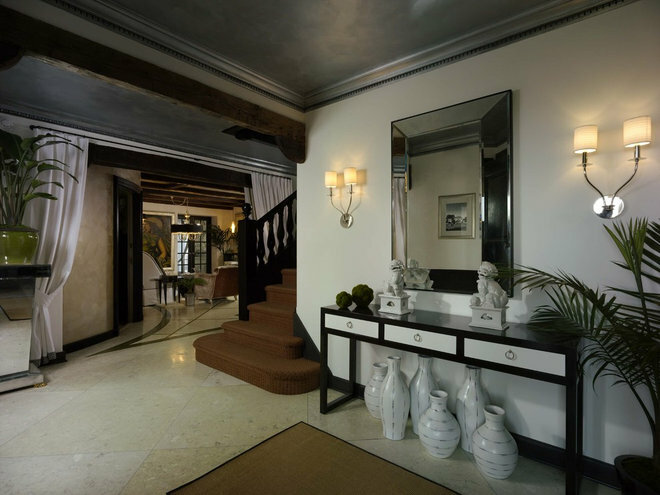 It creates a very custom look and increases the overall impact — not that this entrance really needed help with impact. Wow! The stair runner here does not match the hall runner in the distance, but they do coordinate. 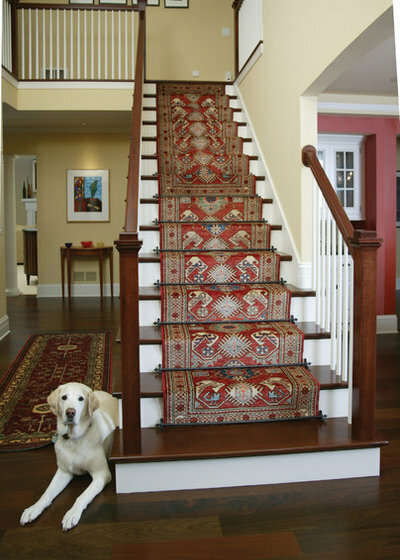 Treat stair runners the same as you would an area rug when deciding on patterns and colors. If you have an open area where you can see both runner and area rug, they don’t have to match but do need to coordinate. In this house, the stair runner is similar to the hall runner below, but they do not match. It’s a very pretty look that feels collected rather than all-new-matchy-matchy. 5. How should I handle the landing? On a carpet with stripes, using a mitered corner is very attractive. I would use the same type of corner for a runner that has a border. 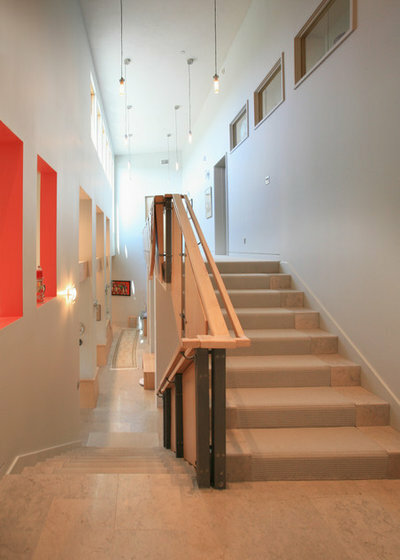 In this case, they maintained the same distance from the wall on the landing as on the stairs. 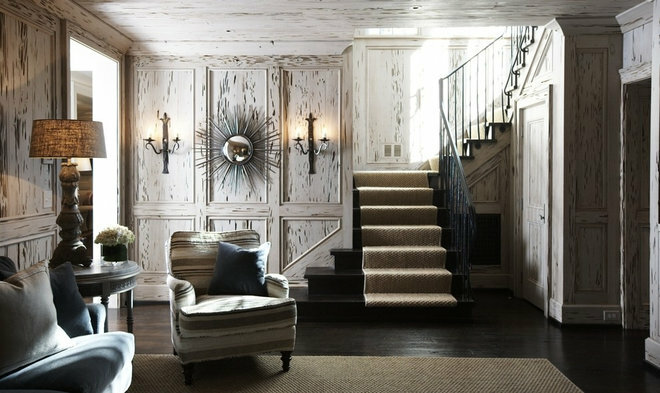 This stair runner leaves a few inches of bare wood on the edges, but when you get to the landing, it is carpeted wall-to-wall. 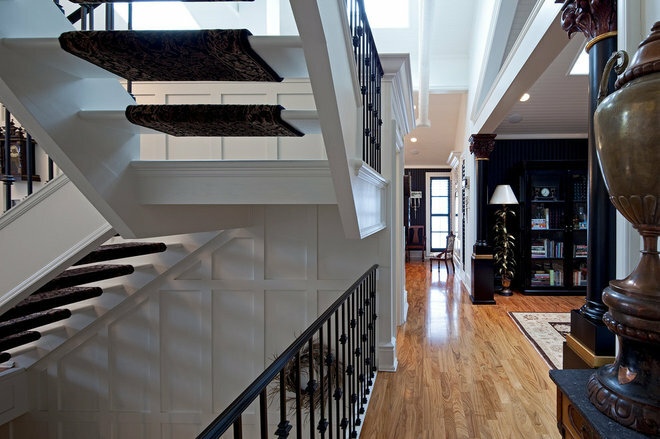 This staircase has a really large landing area, so instead of continuing the runner, the designer has used an area rug. Again, you can either match the area rug to the runner, or just have it coordinate. Tip: Don’t forget to use non-slip pads under your area rugs. It is especially important when an area rug is not held down by heavy furniture. You don’t have to put any carpet on the landing if you don’t want to. It will be a little noisy, but not quite the slip-and-fall concern of the stairs themselves. This unusually shaped landing is quite small and creates a design statement, so it has been left without any carpeting. 7. How do I handle stairs that change width? You can continue your stair runner at a uniform width, allowing more and more wood to show, as in this photo. Even with less of a change in stair width, keeping the runner width consistent works very well. Again, we see the runner left the same width as the stairway widens. 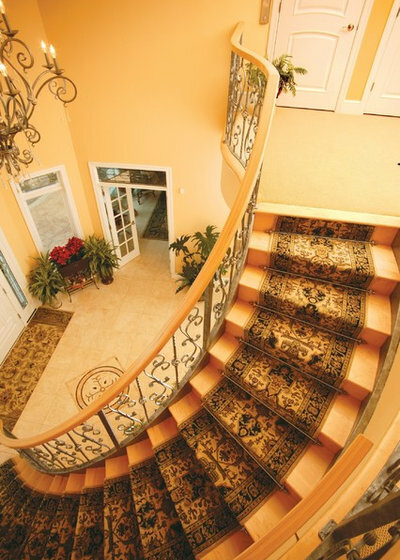 The area rug is the same width as the base of the staircase visually extending the entire staircase. It is a little tricky to tell in this photo, but it looks like the stairs widen at the bottom and the carpet runner widens right along with the stairs. 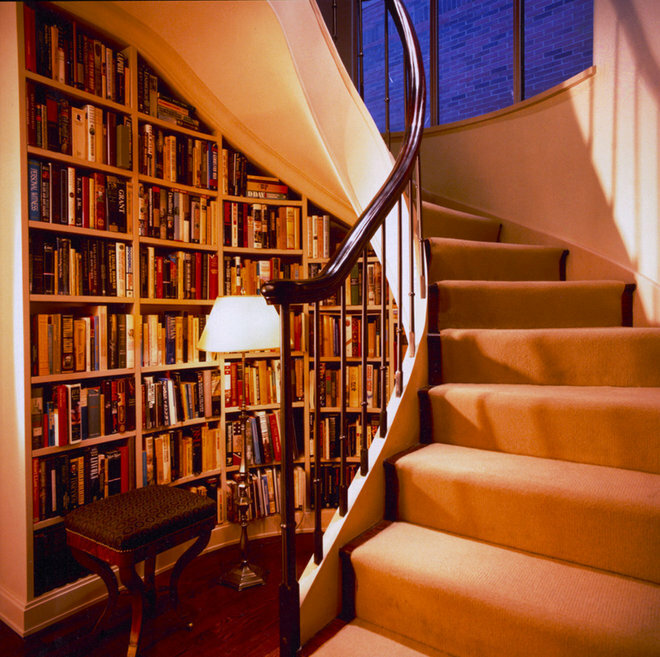 These stairs are fully carpeted instead of using a runner, so this is also a nice option when your stairs change width. 6. How should I attach the runner? You have two choices: staple the runner on or use rods. The stapling option is more secure; it is actually possible for a runner to slip from under the rods. 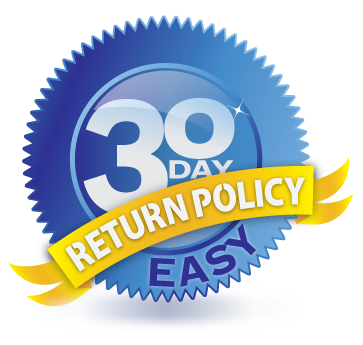 You might like to choose a stapled option with rods as an added decorative feature. 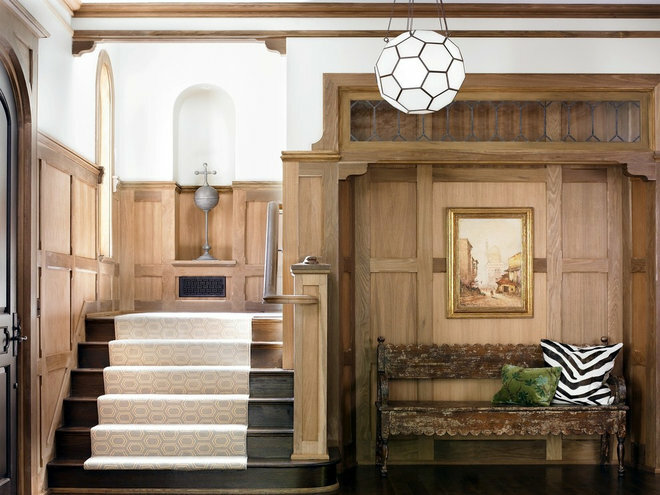 The rods look great in this traditional- style entry. You can still use rods when you have curves in your stairs. Very beautiful! If your look is more contemporary, then stapling is great. These have been stapled where the tread meets the riser for a crisp, clean look. If your stair treads have a bullnose edge, then stapling right up under that edge gives you nice definition and also a very secure edge to the carpet. 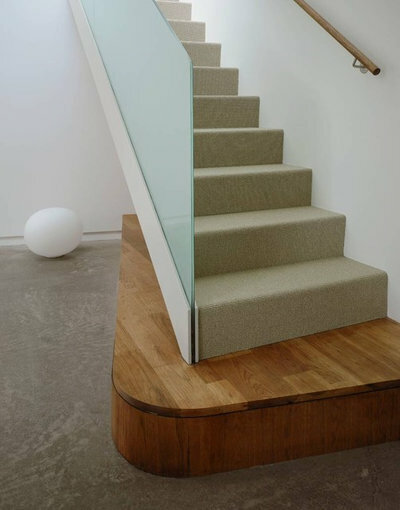 You can staple under the bullnose whether you have fully carpeted stairs, as in this photo, or a runner. It will work either way. 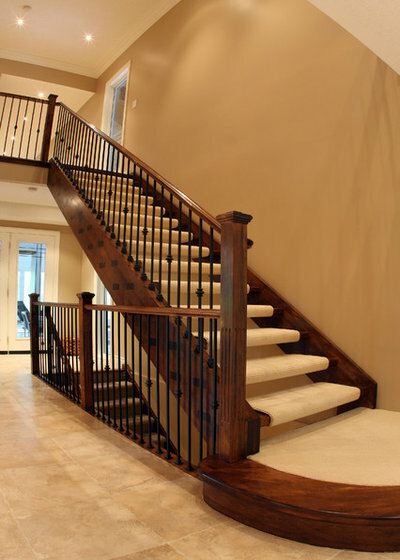 Children aren’t the only reason you should consider using a stair runner on wood stairs. I will never forget how we removed worn carpeting from our wood stairs. To our dismay, we found that our older dog could no longer get up the stairs to our bedroom at night because he couldn’t get a grip on the more slippery wooden stairs. He would cry at the bottom of the stairs wanting to be with us. Oddly enough, we did not install a stair runner; we began sleeping downstairs. That’s just the weird kind of animal lovers we are. Anyway, having carpeting on your stairs makes them safer for your pets too. 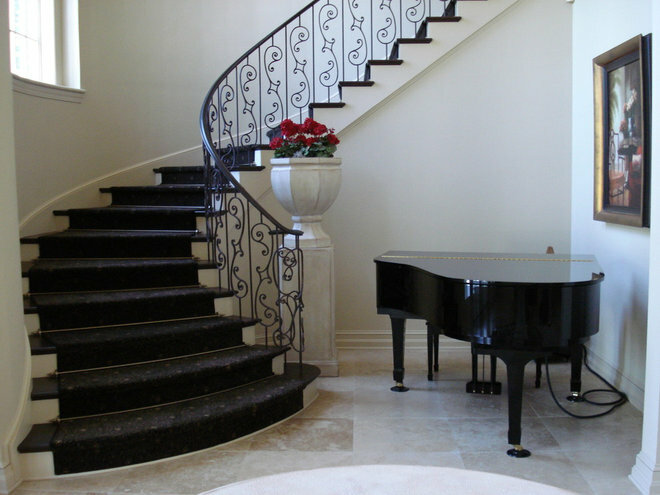 I hope you have enjoyed the tips and can use them to create a beautiful and safe staircase for your home. I always love to see how people have handled these issues themselves, so please feel free to upload photos of your stair runners below! 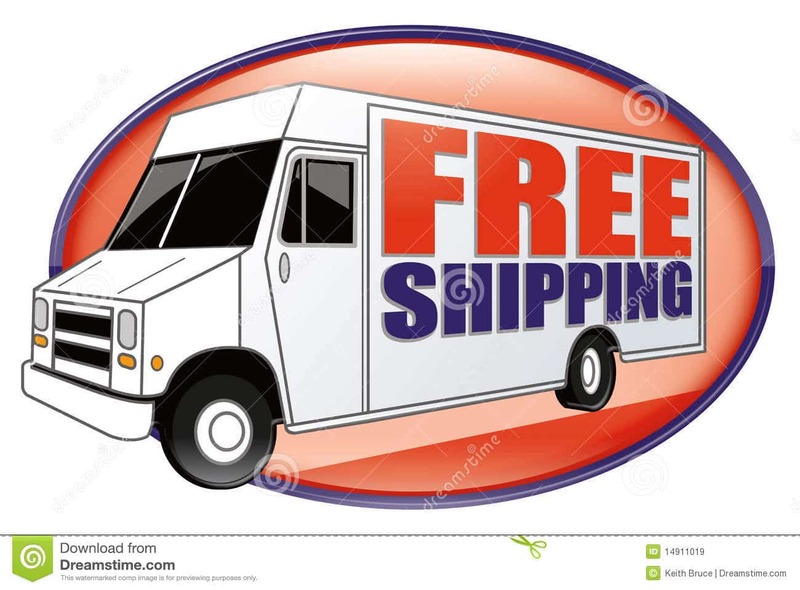 This entry was posted in Carpets and tagged carpet cleaning, carpet cleaning laval, carpet cleaning montreal, cheapest online, easy an secure shopping online, line carpet, onine shopping carpets, onlien shopping, online, online carpet, online rugs, online store, rug online, rug shop online, rug store online, Rugs, rugs online, rugs online brossard, rugs online montreal, rugs online repairing, shop online, shopping online, tapis haut de gamme.